Eleaf Aster Review: Does This Kit Live up to Its Name? Eleaf is known for making excellent vape starter kits, and have released a few products under their new Aster line. The Eleaf Aster RT with Melo RT 22 Full Kit is one of the latest vape starter kits to be released from Eleaf and added into their Aster line. In addition, the included Melo RT 22 is one of their latest sub ohm tanks, and is much different in comparison to past Melo tanks. Firstly, I would like to thank Heaven Gifts for sending us this vape starter pack for the purposes of this Aster kit review. I will give you my first impressions, experiences using this device, performance of both the Eleaf Aster RT and Melo RT 22, pros and cons, and conclude with telling you whether or not I recommend this product! When I first received the Eleaf Aster RT with Melo RT 22 Full Kit, the first thing I noticed was the good packaging. Right on the front of the packaging, you see exactly what is inside, and on the back it tells you everything that is included. Also, it does state right away on the front of the packaging that the included device is firmware upgradeable. This is already a pro, since you know you'll always be up to date with the Eleaf Aster RT. 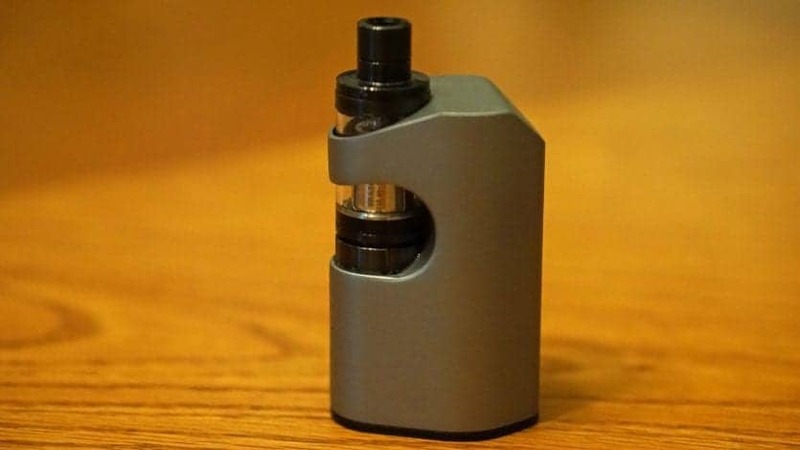 The Eleaf Aster line is relatively new, and consists of a number of devices. In addition, the Melo tank series is a very popular line of sub ohm tanks since they offer great performance at an affordable price. Plus, many vapers are a fan of the coils that are compatible with that tank. These two new devices that are included with this full kit are quite different than what Eleaf has previously offered, which is great to see. 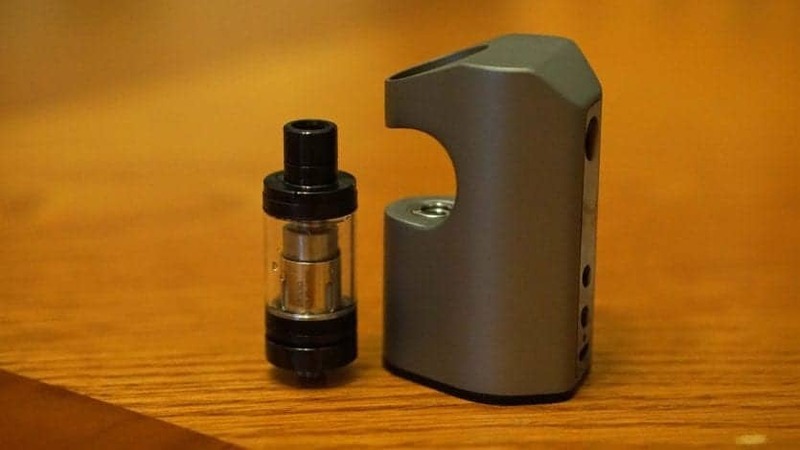 The Eleaf Aster RT is a "side by side" mod, where your tank is attached to the side of the device rather than the top; hence the same side by side. There are other names for these style of devices as well such as in this case, the RT stands for "recessed tank" style. These style of devices are quite popular since they offer you a stealthy setup. Included with the Eleaf Aster RT wit Melo RT 22 Full Kit you receive the Eleaf Aster RT mod, the Eleaf Melo RT22, a pre-installed ER 0.3 ohm coil, an additional ER 0.3 ohm coil, 2 seal rings, 1 USB cable, and 1 user manual. It's definitely a pro that they include an extra coil head, since it's always a possibility that one coil may be bad from the factory, so you always have an extra to go to. Once you slide open the packaging, you are greeted with the Eleaf Aster RT and the Melo RT 22 already attached to the device. In addition, to the side is where everything else is located. The packaging was good overall, and everything inside was kept securely, which is certainly a pro. I immediately noticed that the Eleaf Aster RT mod was a bit on the bulky side, but not too bulky by any means. Also, by just the looks of it, it seemed ergonomic, and would fit great in your hands due to its overall design. 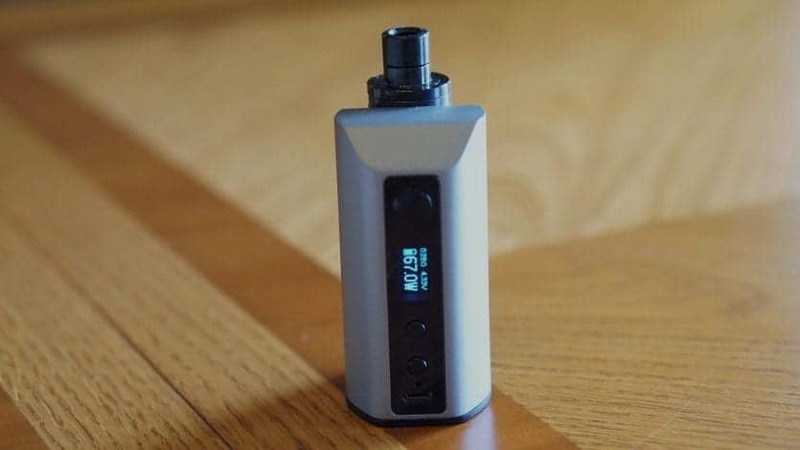 If you're familiar with the Wismec Reuleaux RX200 or RX200S, then this device will remind you of it, since it is fairly similar in shape. This device does pack a 4.400 mAh internal battery, which is definitely a pro considering its size. It isn't too large, but certainly not a "mini". Also, Aster RT is short in height which gives it a great look, especially with the Melo RT 22 attached. The Eleaf Melo RT 22 is primarily constructed of stainless steel and glass. In addition, the overall diameter of this atomizer is 22mm; hence the 22 in the name. Also, RT stands for "Retractable Top", and comes from the top fill design. With this type of design, it makes filling extremely easy as the top fill simply retracts out and reveals a fill port where you can easily fill this tank with e-liquid. The Melo RT 22 also features a hidden airflow control system, similar to that of other Eleaf tanks. In addition, this tank is about average in regards to the overall size. I do want to mention right away that this tank does include a Delrin 510 drip tip, which means it is compatible with all of your favorite 510 drip tips! However, due to its design, some 510 drip tips may not look the greatest since the 510 is not flush with the top of the tank. Also, the Melo RT 22 came clean with no machine oil! One rinse with warm water and this tank was good to go! In addition, the Aster RT came almost fully charged, so if you were to get this kit, you can basically vape right out of the box, all you need it some e-liquid! All in all, my first impressions of the Eleaf Aster RT with Melo RT 22 Full Kit were positive! In this section, I will be covering my experiences with using this device over time. With its 4,440 mah internal battery, I could easily get through most of the day without needing to recharge! Even when vaping a lot through the day, I can get a solid 4 or 5 hours using it, which is definitely a pro since this mod is not too large. Like said previously, it is slightly bulky, but not where it felt uncomfortable. The overall design just makes it comfortable to hold, and when you do hold it, it feels natural, especially with all of its curves. It does feel quite similar to holding an RX200, but just a bit smaller. Also, when using it, it feels more comfortable to fire it with your thumb rather than your pointer finger, since on the other side where the tank is located, there is a separation there where your fingers would naturally go to. Either way, it was still quite comfortable, but just a bit more using the device this way. I do want to mention that when you are vaping, make sure your fingers do not cover the airflow of the tank, as this can easily happen. Also, this area can quite hot especially if you like to purge when you vape as the heat will just go towards your fingers. So, I would recommend to make sure when you are using this kit, be sure to not block the airflow of the Melo RT 22. Something else worth mentioning is that only 22mm tanks will fit the Aster RT mod. This is definitely a con since many tanks that are being released, whether RTAs or sub ohm tanks, are 24mm and up in diameter. 23mm may fit, but you are likely to scratch the mod or the tank itself. With the Melo RT 22, it's not an issue since it is only 22mm in diameter. Also, another con is that smaller tanks will work either since you need the drip tip to extend past the top of the mod to vape. Using the Eleaf Aster RT is quite simple since it does use the same interface as most other Eleaf mods. Five clicks will turn the device on and off. Once the device is on, three clicks will get you into the menu where you can choose which temperature control mode, bypass mode, smart mode and TCR modes. You can easily navigate through this menu with the wattage up and down buttons. This is definitely a pro, as beginners will have no issues using this device. Overall, using the Eleaf Aster RT with Melo RT22 Full Kit was pleasant. It is an extremely easy-to-use device, and feels natural in the hand. The tank can be filled quite easily and quickly with the retractable top design, which makes it great for on the go. The performance of this vape kit is excellent! The Eleaf Aster RT is capable of 100w, which is plenty for the size and style of this device. In addition, the fact that this device supports temperature control for Ni200, TI and SS is a huge plus. Not to mention, you can set specific TCR values, so you can easily fine-tune your vape experience. The Eleaf Aster RT does deliver in regards to power. When vaping at 100w, it does feel like an actually 100w, which is definitely a pro. 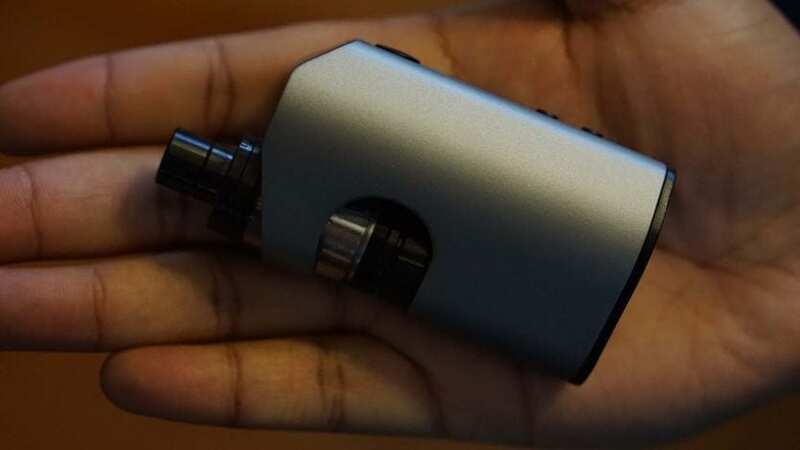 Do keep in mind, if you are vaping with this device at 100w, you won't get the greatest battery life. I did test the stainless steel temperature control as well as the TCR mode, and it performed great! In my opinion, the TCR mode was a bit better in regards to consistency and overall vaping experience when compared to the base stainless steel temperature control the Aster RT has to offer. Also, you can configure three different TCR settings, which are labeled as M1, M2 and M3. The minimum firing resistance in TC mode is 0.05 ohm, so you can build quite low with this device if desired. In normal wattage mode, the minimum firing resistance is 0.1 ohm, which is perfect for most vapers. Also, I do want to mention that there is no fire delay, once you press the fire button, it fires immediately. In addition, it does come pre-installed with the latest firmware that has the preheat function as well as custom logo, which is a huge pro! Overall, the performance of the Aster RT mod was excellent, and the battery life was solid. Like mentioned previously, with its 4,400 mAh battery, I can easily get through most of the day! The performance of the Eleaf Melo RT 22 was also superb. The included ER 0.3 ohm coil heads performed great. The flavor and vapor production was solid, and they lasted quite a long time. I vaped at least 70 ml of e-liquid through one coil head, and it was still going pretty strong. These coil heads are rated up to 100w, which is plenty for a coil head. I can definitely say that the ER 0.3 ohm coil head can easily handle 100w of power with no issues. I can take at least 4 to 5 hits consecutively and not experience any dry hit, which is definitely a pro. However, when you are vaping at these higher wattages, this tank does get a bit on the warmer side. I preferred to vape this tank with this specific coil head between 60w and 75w. At 100w, the vape is a bit too warm for my tastes especially when chain vaping, and the flavor diminishes a bit. At 60w to 75w, the flavor is excellent, and this seems to be the sweet spot for this tank. Not to mention, the vapor production is great at these higher wattages. This tank does perform much better overall at higher wattages. I find that at lower wattages such as 40w or 50w, these coil heads just don't perform as well. Also, these coil heads do have about a half tank break-in time before getting full on flavor. The airflow of the Eleaf Melo RT 22 is nice and smooth. With the airflow wide open, there is a very slight restriction, and is quite airy. I enjoyed vaping this tank the most when I closed the airflow about one third, leaving two thirds open. With the airflow control setup like this, I got a nice restrictive lung hit, and the vape was slightly warmer, and the flavor increased as well. I do want to mention that I did experience leaking when I first filled this tank. I'm not too sure as to why this happened, and after it leaked I did take it apart and made sure everything was sealed tight, and the coil was seated properly. Even after that I experienced some leaking, and then the leaking just stopped after I refilled it for the third time. With the second coil head that is included, I encountered zero leaking issues, so the first coil may have been a dud, not too sure though since it was fine after a couple refills. Regardless, this is definitely something worth mentioning. The included Delrin 510 drip tip is quite comfortable to use, and honestly felt no need to replace it. This tank does have a 3.8ml e-liquid capacity, and features the retractable top fill design. This top fill design has to be one of the best top fill designs on the market, and I wouldn't be surprised if I saw it in newer tanks. It just makes it extremely easy to fill this tank, which is a huge pro to this tank! You can burn through e-liquid relatively quick at higher wattages, especially at the maximum 100w. I could easily get through about 2 to 3 hours before needing to refill, and that's with vaping quite often at 60w. At higher wattages, it would last me about 2 hours or so. Overall, the performance of the Eleaf Aster RT with Melo RT 22 Kit was solid! The vape I was getting was satisfying, especially at higher wattages. In conclusion, the Eleaf Aster RT with Melo RT 22 Full Kit is an excellent vape starter kit. If you're a fan of these style devices, you surely won't be let down by this kit. The overall performance has been great, and the fact that I can go most of the day without needing to recharge is a huge pro. There are a few cons to this device that was mentioned, but none that completely would turn me away from this device. The Eleaf Aster RT was made to match the included Melo RT 22, and you can tell when you use them together. 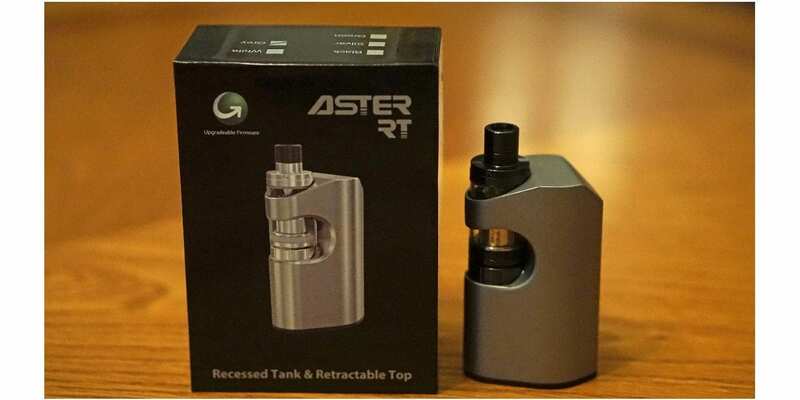 The coils can handle 100w, and the Aster RT can deliver a maximum wattage output of 100w. In addition, this tank is 22mm, and is just tall enough to fit the Aster RT perfectly, giving you a stealthy vape setup! All in all, if you're switching to vaping, or looking for a fairly stealthy vape starter kit that can last most of the day, or just want another device, then the Eleaf Aster RT with Melo RT 22 Full Kit is something I can easily recommend! I hope this Eleaf Aster kit review helps you with choosing the best vape kit to fit your vaping needs! If you have any questions or comments, feel free to leave them down below! Thanks for reading! 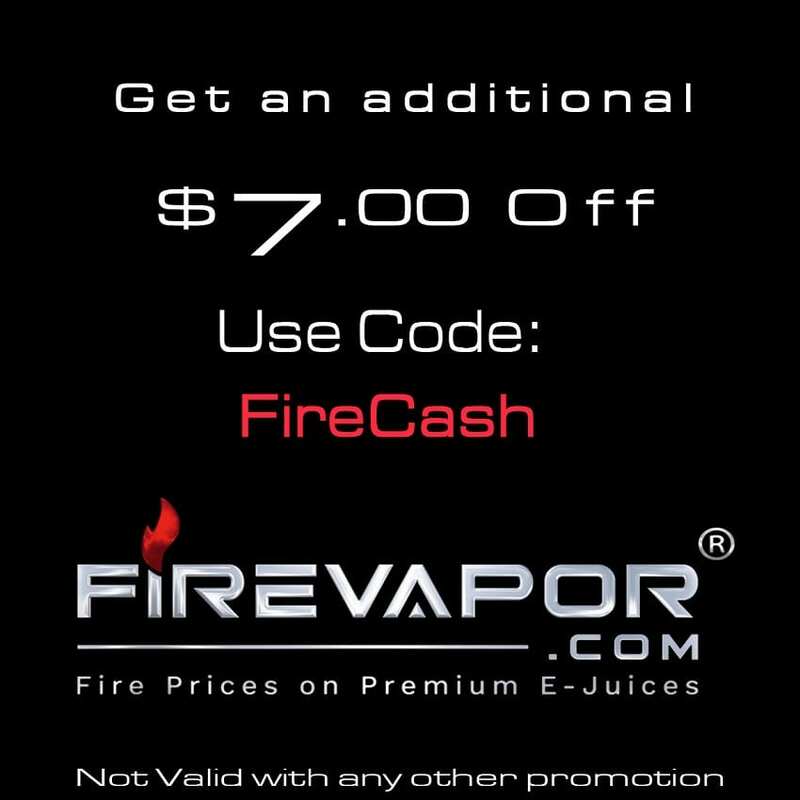 ​Use coupon code ACHEAP15 for 15% off! For reviews of other Eleaf Starter Kits, you can click here, here, and here. Mine leaked the first 2 times also, and fine the third time. Thats uncanny!